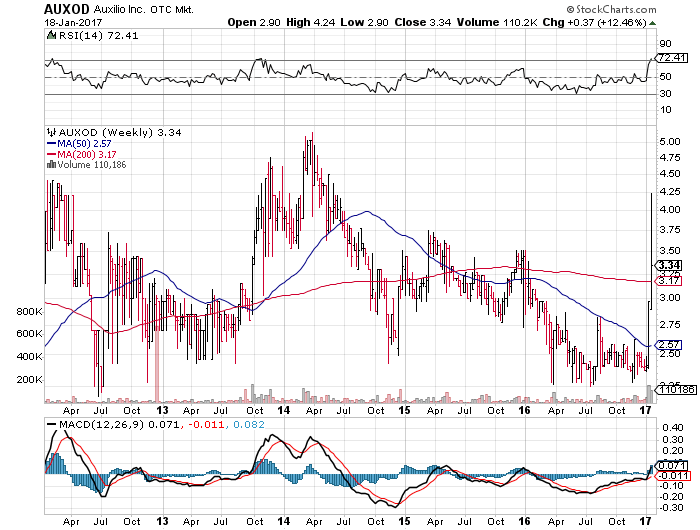 Auxilio, Inc. (AUXO) marching higher. :: Wall Street Resources, Inc.
Auxilio, Inc. ($AUXO) continues to move higher on great news including an acquisition and reverse split. While reverse spits can go either way, my best guess is the company did this to meet listing requirements and we should see an uplisting soon. The stock has broken through a number of key resistance levels and a close above $3.50 would pave the way for a potential move to $5.00.